The Southern Georgian Bay Chamber of Commerce and 93.1 Fresh Radio have partnered to bring Chamber members more cost effective advertising opportunities! 93.1 Fresh Radio will be featuring the Southern Georgian Bay Chamber of Commerce and its Members weekly Monday mornings at 9:20 am. Tune in to 93.1 for the Chamber’s spotlight, welcoming new members and featuring a business of the month. Fresh Radio is also offering Chamber Members a 25% discount for first-time advertisers and a spot on their web calendar for your next event. For more information and inquiries on advertising on 93.1 Fresh Radio, complete the contact submission form on the side bar and include your Business Name, Contact Name, Email, and Phone Number. 93.1 Fresh Radio (CHAY-FM) broadcasts from Barrie, ON and features an upbeat music mix, including number one hits from favourites such as Taylor Swift, Bruno Mars and Katy Perry. If you are not enrolled with a merchant service processing company or you would like to reassess your current rates, then you may want to consider contacting Bruce Averill with First Data for competitive rates. SAVE OVER 20% ON YOUR BUSINESS TELEPHONE LINES IN MIDLAND ! Have you taken a look at your most recent telephone bill? If you have, you may of noticed that your lines could be over $55 each. Even more if they have additional chargeable features. 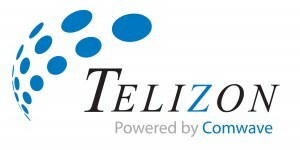 Telizon Inc. is a local company providing over 30,000 lines to Business customers in Central and South Eastern Ontario, including many in the Midland area. Telizon will provide you with the same Business lines giving you the quality and reliability that you are accustomed too at an excellent rate of $ 34.95 per line. Each Telizon line also has a range of FREE features, including Line Hunting (roll-over), Call Display, Call Forwarding, Call Waiting and Centrex Call Transfer/Conference. Couple these monthly savings with great long distance rates and you will notice a dramatic decrease in your Telecommunications costs. 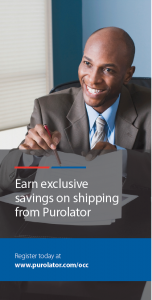 Enroll as a Member of the Chamber at www.purolator.com/occ and start saving!! Being a Member of the Southern Georgian Bay Chamber of Commerce gives you access to the shipping solutions and experience of Purolator, where you will enjoy preferential pricing on Purolator services. Did you enroll your business on purolator.com/occ ? Download the Purolator Quick Start Guide to start shipping using Purolator’s online shipping! MINK Insurance offers Chamber members a 20% discount on home and auto insurance. Contact (705) 527-6465 or email insurance@minkinsurance.com for a quote.